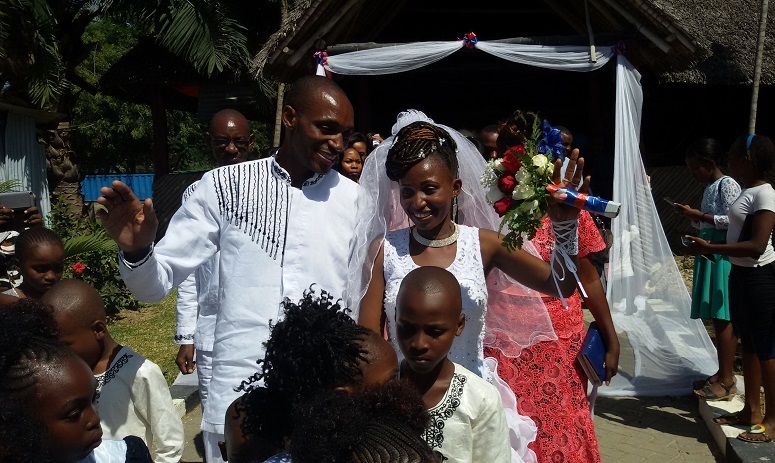 Five years after the brutal death of her first husband, Kenyan Damaris Kioko remarried in Mombasa today (29 July). Jackson Kioko was killed in May 2012 in the Jomvu area of Mombasa, only a week after their wedding in coastal Kenya. “We had a very colourful wedding. People said that they had never seen such a great wedding,” Damaris recalls. The newlyweds spent three days honeymooning in the coastal town of Malindi, then returned to Mombasa. But then, just a week after the wedding, Jackson’s first day back at work, Damaris’ husband left the house never to return. Jackson, assistant pastor of Melchizedek Church in Mombasa, with Benjamin Juma, pastor of Nyali Baptist Church, started planning an evangelistic event. When Jackson did not come home on the evening of 7 May, Damaris tried to phone him but couldn’t get through. The next morning she was told that Jackson had died. An angry mob had lured the two men into a trap, then killed them and set their bodies on fire. “I heard that their bodies were so burned that you could not even tell them apart. The pieces of clothes helped to identify them. I had no strength to go to the mortuary. I was very helpless, I could not even stand,” Damaris said. “Our gifts are still intact and we have not even received the photos which we took during our wedding,” she said in an interview with national newspaper the Daily Nation shortly after Jackson’s murder. Police in Mombasa questioned five people in connection with the lynching of the two pastors and “launched a manhunt for a witchdoctor in the area who was said to have invited the two clergymen for prayers at his home”, All Africa reported at the time. Other conflicting reports surfaced in the weeks after, one saying that the mob who burned the two pastors to death claimed that they were thieves; another that “initially police claimed they were criminals, but later said it was a case of mistaken identity after establishing that they were meeting church members in the area”. “Thankfully, one friend reminded me that as a Christian I don’t have to mourn like somebody who has no hope. That’s when I remembered I’m a child of God and that He says He has great things for me and great thoughts about my life and that everything works together for good. That’s when I started gaining strength again”. Eventually, as time moved on and friends moved away, Damaris started to feel isolated. “You go through a time when you feel everybody has rejected you. You feel that the whole world is against you,” she said. 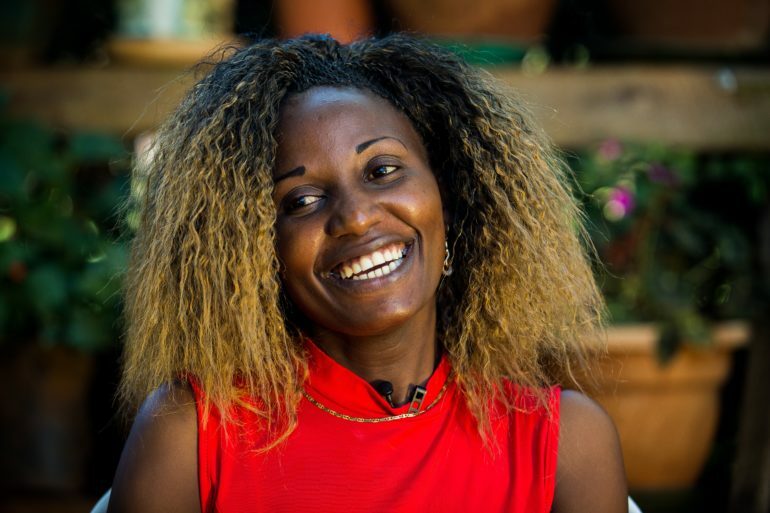 Through an initiative of the charity Open Doors, Damaris started receiving many letters from people from all over the world: “They came from Germany, Norway, Canada, India… I realised there were people who were concerned about me,” she said. Damaris applied for a job at another church and got it. She says she is grateful for “new beginnings” on many different fronts – not least with the fact that, after having to postpone her second wedding in 2014 due to financial constraints, she and her fiancée Steve can now finally marry. She has continued as a musician and singer, something in which Jackson had always encouraged her. And having had the experience of being encouraged by people, she has released her second CD. With them, Damaris is hoping to encourage others. “I want to encourage people who are going through fire, to stand firm and serve God, and He will help them to heal others,” she says.